The Information below gives an overview of what our four service options provide. Our Fully Managed services are designed to take as much stress out of the lettings process as possible and provide you with peace of mind throughout. Our fees are transparent and “all-inclusive” meaning you know exactly how much you will be paying for the service throughout the process. Our standard Fully Managed service covers all aspects of the lettings process including ensuring you comply with all legislation, finding and referencing suitable tenants, monitoring the tenancy and your property, dealing with any maintenance and rental payments and also managing the ‘move out’ process and negotiating the return of the Deposit Bond. 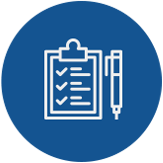 Our Fully Managed Plus service offers everything that is included in the standard Fully Managed package in addition to enhanced tenant referencing, a full rental warranty, legal expenses insurance covering up to £100,000 and management of any eviction (if required). The Tenant Find Only package offers all the benefits of the pre and post tenancy phases of the Fully Managed service but allows you, as a landlord, to manage the property yourself throughout the course of the tenancy. This means that you are responsible for all rent collection, inspections and maintenance. 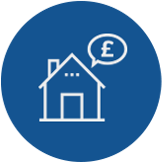 Our Tenant Find Plus service however includes enhanced tenant referencing and a rent collection/arrears chasing service. All Inclusive Fully Managed + Service £25 inclusive VAT (up to £1000pcm) or £30 inclusive VAT (rents above £1000pcm). This fee is payable in addition to the All Inclusive Fully Managed service fee specified above. Only applicable if Boatwrights are not instructed to re-let/sell the property. As part of our professional association with ARLA Propertymark, Boatwrights Lettings hold your money in a separate client account which is independently inspected annually. This is then backed by a Client Money Protection scheme which means your money is safe if the worst were to happen. This is not the case with all letting agents. This means we can proudly display the ARLA Propertymark logo in recognition of this extra protection for our clients and customers.